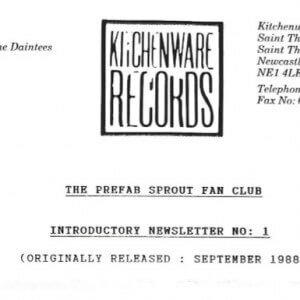 Time for the first tranche of copies of the official (and rather elusive) Prefab Sprout Fan Club Newsletter (also known as “Talking Scarlet”). 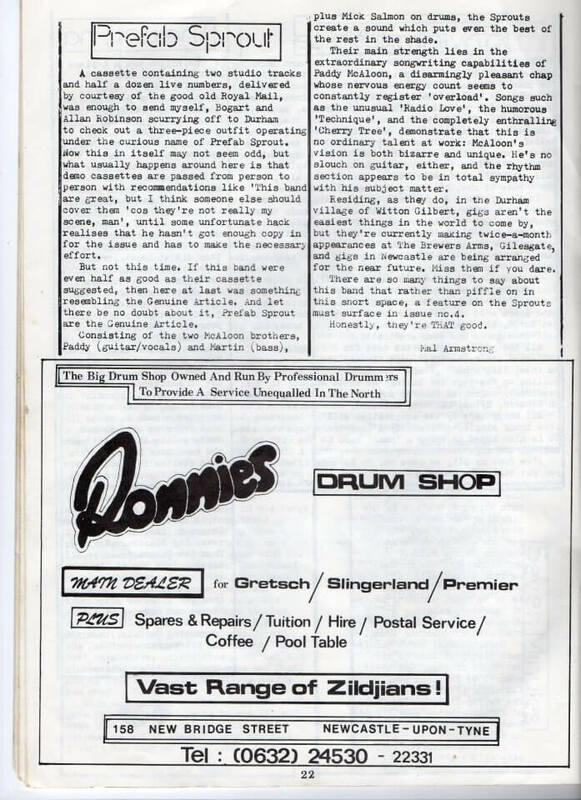 There are some more here, issues 8, 9 and 13, and if anyone has any of the “missing” copies beyond those I’d be glad of scans to fill out the record. It’s a curious beast, this. To be perfectly honest Rollmo did a better job with far less inside information, and you get the distinct impression it was all a bit of an afterthought. But part of the story it very definitely is. 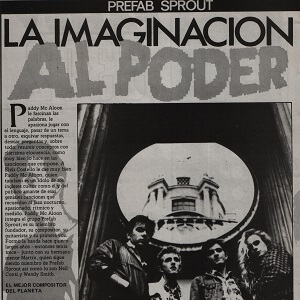 Closing with an exclusive teaser about the imminent release of “Earth, the Story So Far”…! 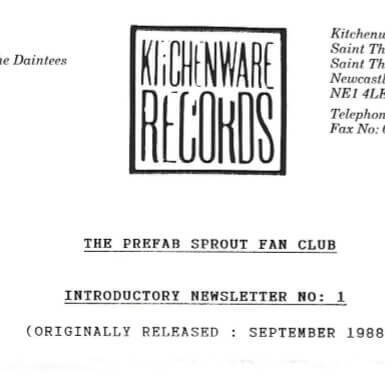 While we’re here, see also the earlier Kitchenware material that was sent out to fans. I am a massive PS fan!